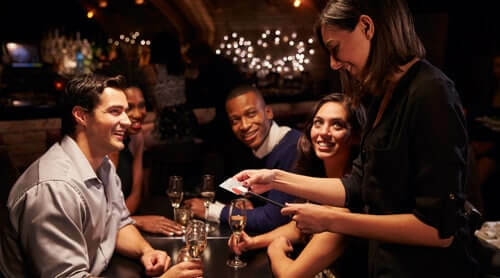 One: You have spot-on, friendly service, your meals are to die for, you are in blissful, foodie heaven, and you’re more than happy to leave an overly generous tip for your server. Or two: You are seated, greeted, your server takes your drink order, and then suddenly everything starts going downhill. The drinks are warm, the appetizer is cold, the server is slow to take your order, the food is late, you are thirsty and need water and so on. Everyone has had a poor dining experience at one time or another. So what do you do? Not tip? Politely mention the poor service but still leave a tip? Complain to the manager? 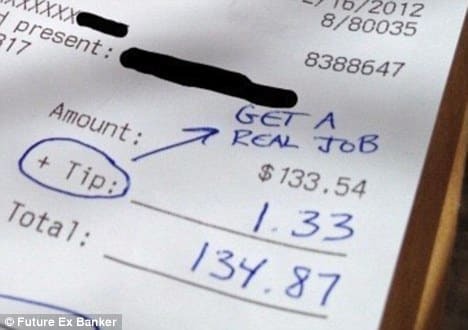 Anyone who has ever waited tables knows how difficult this job can be, and therefore, many ex-servers make a point to be very generous tippers regardless of service. 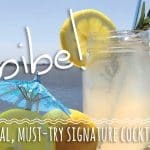 Unfortunately, there are many restaurant-goers out there who don’t realize the importance of the tip. Here’s some tips on tipping. Tipping is not mandatory, but in the United States it is definitely customary. And the decent thing to do. According to the North Carolina Restaurant & Lodging Association some servers make as little as $2.13 per hour. Obviously this hourly rate varies, but needless to say, servers rely upon their tips to hopefully average that rate to at least meet minimum wage and hopefully higher on good shifts. For some, it may be a second job, but for many their serving job is their primary source of income. Listen people, servers work hard for their money, and I’ve always contended that everyone should have to do it once in their lifetime to really understand and fully appreciate the work, patience, and exhaustion that goes into the job. Simply looking at the total a server makes in any given shift isn’t the whole story. At the end of a shift they don’t just walk home with a wad of cash in their pocket. They also have a percentage they have to tip out to bartenders, food runners, busboys, expeditors, and sometimes even kitchen staff. Then credit card tips have to be claimed, and taxes have to be paid on the money earned as well. And then take into consideration that here on the Outer Banks the majority of restaurants are only open seasonally, and most of these servers are laid off in the winter. Therefore, their “in-season” money has to last them through the winter as well. An easy, sure-fire way to calculate a tip is to round your tab up to the nearest ten then leave 20% (or a little more if you’re feeling so inclined). If you are dining at a buffet with a server that still brings your drinks, then it’s acceptable to lower the tip to 10%-15%. 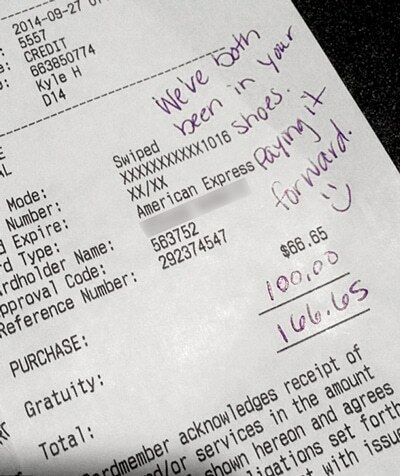 If you can’t afford a tip, consider going to a food establishment that doesn’t require servers. Like a fast food joint. Don’t be afraid to pull out that calculator on your phone if you can’t do percentages in your head. It’s OK. Phones aren’t just for pictures of your food. But wait! What if I received poor service, like described above? First, politely talk to your server, and give them the benefit of the doubt. Maybe they are just having an awful day. Or maybe they just had a demanding table of 10 just stiff them. Or maybe the slow food is a result of things beyond their control in the kitchen. Many times a server in this situation will be very apologetic and will improve after you speak to them, but if not, speak to the manager. Still, leaving a tip and maybe a word of encouragement could be enough to turn their day around. You never know what someone might be going through. If you really feel like you must lower the tip to prove a point, it speaks more to leave a lower amount than to leave nothing at all. What if I have a coupon or gift card? The tip calculation should still be based upon the original pre-tax price. Please read that sentence again. For example: Your bill is $100, but you have a $40 gift card. Cool for you. But you should tip on the $100, not the remaining $60. What if I pick up a to-go order or have food delivered to my home? A tip of 10% to 15% is still standard depending on the difficulty/size of the order and the total bill. Someone still had to stop what they were doing to pack up your order, condiments, and extras all for your convenience. Tipping is not expected. Non tippers and low tippers, this should be your dining option. A kind gesture on your part, but always optional. So the next time you go to pay your bill at a restaurant, and you’re calculating the tip, and you’re thinking “really, that much?” ­– the answer is always yes, that much. Just remember to budget your tip before you go out, and no matter what the service is like, always be respectful to your servers. Thank you for this article! I am always the first to tell a server that I could never do what they do, and I mean that!! And I have 49 years experience of feeding a family of boys!! It is very true that “you really don’t know what someone is going through”, communication and manners can go a long way in solving a situation or turning someone’s day around. Many of my friends and family have been servers, two own restaurants, and I feel it’s safe to say nearly all servers and restaurant workers will do whatever they can to make your dining experience a enjoyable one! We have just left the Outer Banks and have never had poor service or food. We had the pleasure of pbj sandwiches during the outage and I didn”t tip the server but then again it was my husband. We always tip on the heavy side as I worked my way thru nursing school doing restaurant work. I always tell my husband that some of the worst tippers are the ones who want the most. Keep you wants low and you will be rewarded with good service. Thanks for a memorable vacation but I will take blizzards over hurricanes.